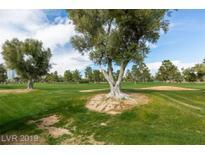 Below you can view all the homes for sale in the Las Vegas Country Club Garden subdivision located in Las Vegas Nevada. Listings in Las Vegas Country Club Garden are updated daily from data we receive from the Las Vegas multiple listing service. To learn more about any of these homes or to receive custom notifications when a new property is listed for sale in Las Vegas Country Club Garden, give us a call at 702-323-5939. See attached list for all amenities! MLS#2086812. Synergy Sothebys Int'l Realty. Price Slashed $80,Ooo**elvis's Vegas Exotic Retreat Frm Wild Fans*elvis "left The Building" His Vibe Is Still Present In His Custom Home On Guard-gated L.V.Country Club Golf Course 3 Min Frm His Showrm *mesmerizing Visuals*spiffy Bar Rm*mood Lites*lead Glass Wndws*surrnd Sound*aviary*shimmering V.Priv Heatd Pool'N'spa*circlr Lounge (auto-rising Cocktail Table*alligator Size Aquarium*2 Phnmnl Masters*roman Tub*celeb Chef Nu Open Killer Kit * MLS#2078508. American Realty Properties LLC. The backyard has a portico and gorgeous golf course views. 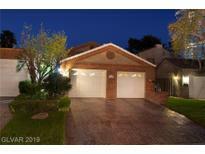 MLS#2072193. Huntington & Ellis, A Real Est.